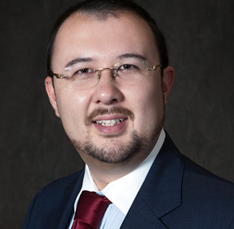 Michael Lee, is a managing partner of rui | attorneys. 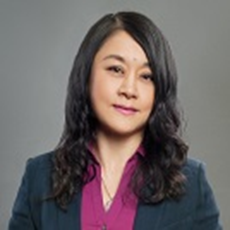 Xiaowei Li is a general partner of rui | attorneys. Dr. Connie Chen, Executive Vice Chairman at Transamerica Financial Group. We invited experienced estate attorneys and financial advisor to closely communicate with you, from legal, tax planning, asset allocation, and other aspects to answer your questions about the following categories. · How do you hold your real estate title and other property? · The Fundamentals of Financial Planning and Asset allocations. Michael founded the rui | attorneys after service as an attorney with the US Internal Revenue Service, US Attorney’s Office, and the US District Court. The primary focus of his transactional practice is structuring international business transactions and wealth management services for high-net worth families to promote tax efficiency via US-foreign treaties or sophisticated multi-modal estate planning. Regarding litigation, his practice focuses on complex insolvency, distressed transactions, and tax controversy. Examples of specialized representations include estate planning for nonresident aliens, US inbound business transactions, complex real estate transactions and asset protection. Representative clients include multi-national companies, company directors and officers, persons of multiple-nationality / tax obligations, and fiduciaries. 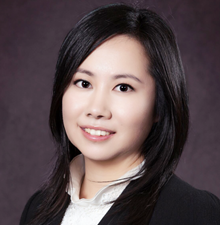 Xiaowei co-founded rui | attorneys after practice as a larger firm multinational corporate attorney. The primary focus of her transactional practice includes providing consultancy on SME operations within the US to reduce risk and improve operational efficiency in the areas of internal corporate law, labor law, contracting, and commercial law. Examples of specialized representations include the development of professional corporations (e.g. physicians), implementation of corporate employment policies, and intellectual property agreements. She represents clients ranging from closely held companies to publicly traded corporations in the industries of real estate development, construction, real estate brokerage, financial trading, high-tech, hospitality – hotel & restaurant, and medical. Dr, Chen obtained her Ph D in sociology and statistics from the university of University of Hamburg in Germany. She was renowned in her field, with many publications. After moving to US, she felt the need to be educated in the field of financial planning as a new immigrant, she started a career of an investment advisor. She achieved a great success and featured in Money and Forbes magazine many times as the leader in this industry for 15 years. She specialized in the financial planning for company group plan and individual retirement rollover, investment, insurance, tax planning. Currently she devoted all her effort to educate the community with the comprehensive financial and wealth management tools to improve the peace of mind when we entering retirement stage. Moon Cake will be provided.